Revolutionary method for treating hemorrhoids. Technique invented by Dr. Kazumasa Morinaga in 1995. Approved by the FDA in the same year, this is the latest most innovative technology is carried out in the world: Japan, Australia, USA, Europe, Africa, Asia. There are more than 10,000 treatments. The technique is applied in 20 minutes, no pain, no bleeding , no general anesthesia and no hospitalization. Dr Wafik is a pioneer in Spain in this technique since 1995, as the years have passed recent progress has been made so far for this technique called DGHAL. This technique allows for hemorrhoids patient, previously subjected to painful surgery ( a hemorrodectomy ) can be treated in 20 minutes, without general anesthesia and without stay in hospital. We use a special device ( KM25 ), "proctoscope modified" which includes a Doppler transducer, and a window, which allows the surgeon to identify and connect the hemorrhoidal arteries ligation this is a simple maneuver and obstructs part terminal rectal arteries above supplying blood to hemorrhoidal tissue. With this maneuver, it is observed that immediately begins to reduce hemorrhoid, that will disappear after 2 -3 weeks. If you have internal or external hemorrhoids and suffer with your hemorrhoids we offer this technical innovation called DGHAL. That will give you the final solution to your problems. The latest development of this technique is the combination of pexia ligation ( lifting ) of internal and external hemorrhoidal arteries. 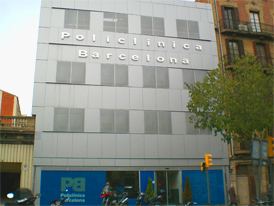 Technical done since 1995 by dr. Wafik Al-Wattar in the clinic, Policlinica de Barcelona, and Hospital de Barcelona . 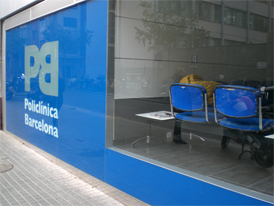 See article about the DGHAL technic, for hemorroids.